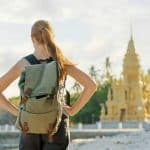 The best travel stroller, really makes travelling with small children so much easier, particularly if you opt for the best lightweight stroller for travel. It’s been a while since we have used travel prams for Myla, but back when she was smaller I would never have left home without it! If you are in the market for the best light weight stroller then you are in the right place as in this post I am going to cover everything you need to consider when looking at purchasing a travel pram, compare the features of various best lightweight travel strollers as well as look at some of the best travel strollers currently on the market. There are quite a few different strollers on the market all claiming to be the best travel pram – with so many options it can be a little bit daunting to know which one to buy. I have taken some of that pain away and done the research for you. As a regular user in the past of a travel stroller, I know exactly what to look for. In these best travel stroller 2019 reviews I look at a variety of top travel strollers including both single and the best double lightweight stroller options. I compare their various features so you can make an informed choice when purchasing the best travel lightweight stroller for you. Whether you are after the best travel stroller for flying or for a road trip, the best travel strollers for toddlers or the best infant travel stroller or even just the best cheap travel stroller, you will no doubt find what you are looking for in these reviews. 1 Should you travel with a stroller? 2 Should you a buy a specific stroller for travel? Should you travel with a stroller? Yes, yes and yes! Yes it can be a bit of a hassle, but the advantages of traveling with a light weight travel stroller far outweigh the negatives. When Myla was little we always traveled with a good travel stroller. There were some occasions when we would leave the hotel for a few hours and I would think “oh we will just leave the stroller here” and after an hour or two this would be a decision I would regret! “Mummy my legs hurt“, “Mummy I don’t want to walk anymore” and so on and so on. You will be able to stay out for much longer periods if you travel with a stroller. Sure there may be occasions that you need to push an empty stroller, but so what, it will eventually be your life saver. Even for tiny tots, a small travel stroller is a great place for them to take a nap, so no need to return to the hotel, just let them have their day nap in the pram whilst you continue sightseeing. Snack bags, water bottles, nappies, wet wipes, books, why do kids need so much stuff!!!! A stroller gives you somewhere to store all the extra baby gear that you will have to lug around with you. You can also put your own items in there so your hands are free to manage the kids. 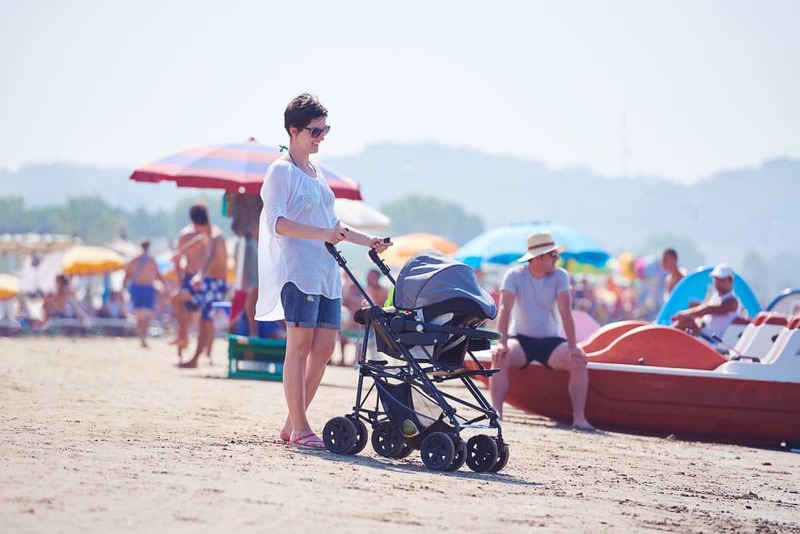 Sightseeing can be hot and sweaty work, the best lightweight stroller for travel doubles as a way to keep your child out of the sun or even rain for long periods of time. Long layovers in airports in the middle of the night? This is one time I just love a travel stroller!! Little ones can sleep comfortably in their stroller. You can relax more in unfamiliar places as you know your child is safely strapped in and not wandering off where they are not supposed to. You’ll have to allow extra time at airports in case you need to check the stroller in. It might be harder to get the stroller around in busy crowds or over uneven surfaces. Another thing you will have to carry or allow extra boot space for. Should you a buy a specific stroller for travel? Yah!! You are still reading so I am guessing I have convinced you that you do need a light stroller for travel. But here is the thing, the stroller you bought for every day use is probably one of the best on the market with plenty of comfort for your baby and awesome features making it quite large and bulky. 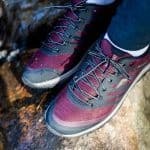 Although these are great for walks in the park and a trip to the shops, they don’t make the best strollers for travelling. Your every day stroller will most likely take up all of your boot space whereas the best strollers for travel are usually very lightweight and compact and won’t take up much room at all, leaving valuable space for other travel essentials such as your luggage and carry on bags. The best strollers for travelling also often have a one-handed fold feature making it a lot easier to quickly fold down the stroller while in the middle of busy airports or standing on the side of the road waiting for a taxi. Most people spend hundreds of dollars on their every day stroller as it is a big investment and you know you are going to get a lot of use out of it. Because you spent so much money on it, you probably don’t want to risk it getting damaged while being loaded onto the plane or coming out on the baggage collection. It is a good idea to invest in a specific light travel stroller at an affordable price just for travel and keep your every day stroller in perfect condition. If you don’t have time to read my entire post on the best traveling strollers, then my pick for the best travel stroller overall is the ZOE XL1. If I was in the market for a lightweight portable stroller this is the one I would buy. I just love how it ticks all the boxes, lightweight, reclines, super large canopy and storage basket underneath. 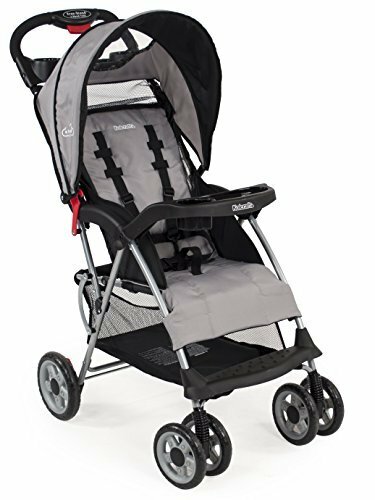 Keep reading below for more information about this travel stroller or click here to check the latest prices. The below table is a quick overview of the travel strollers in this review. Use this table to quickly compare their various features. 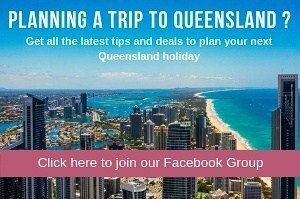 For my Australian readers, once you read the guide on how to choose the best travel stroller below, please click here to be taken to a list of the best travel strollers available in the Australia. So you have decided that you do indeed need one of the best traveling strollers, then there are a few things you need to consider to make sure you buy the best travel pram to suit you and your child(s) needs. The size and weight are very important factors in the travel stroller you decide to purchase as you are looking for a stroller that is going to make your life easier on your travels and not be a large heavy object to lug around with you. The best pram for travelling is one that is lightweight, but you also want a stroller that is going to be large enough to fit your child comfortably as well as other travel essentials and baby gear you will need to fit in as you are going to have less hands to carry other bags or items with due to needing to push the stroller. I highly recommend you buy the lightest and smallest stroller that still meets your needs. To help you do this I have included the weights of all the travel strollers in this review in the above table. Is your little one just a tiny bub or a big toddler? Do you need a newborn travel stroller or a toddler travel stroller? Or perhaps you have two little ones and need a double light stroller. Check the weight guidelines to make sure the travel light stroller you purchase is suitable for your child and if you plan on using it more than once, make sure you buy one that will grow with your child. Some of the best lightweight baby strollers for travel will suit a newborn to bigger toddler. 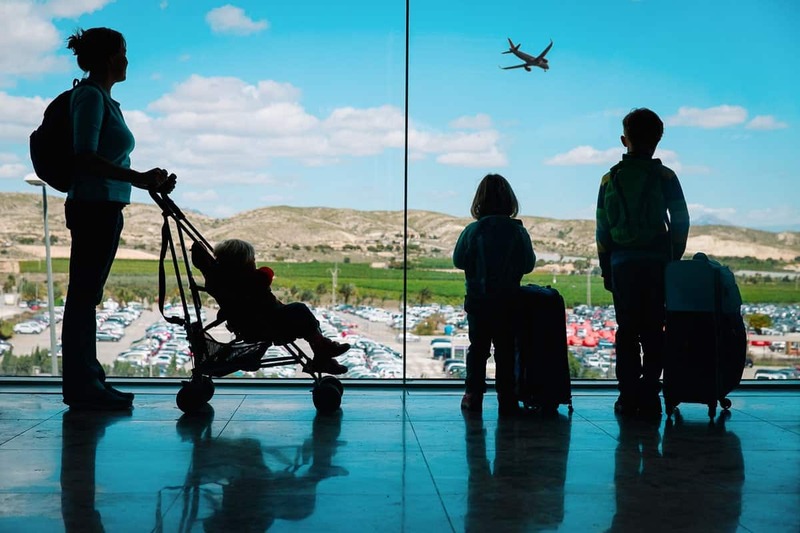 Are you looking for the best strollers for air travel or for a road trip? Are you travelling to a country with lovely smooth pavements or somewhere with uneven surfaces? 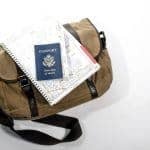 If you are going on an airplane you will need to decide if you want it to take it on the plane as carry on or are you happy to check it at the gate? Are you traveling by car? Is it your own car or a car rental? How much space will there be for your luggage? To save money we always hire the smallest car we can, so in this case you would want a compact stroller so you still have space for your bags. Regardless of your travel type look for compact strollers for travel. Your destination is also an important factor as the amount of time spent walking around on roads or beaches or hiking tracks may vary. Click here if you’re looking for off-road strollers. Some travel strollers have the option of a reclining seat which is a great feature if your child still takes regular day naps. This will give you the flexibility to stay out and exploring for longer periods of time while your child just takes a nap in the stroller and you won’t have to try and rush back to the hotel so they can get a sleep in. Even the best lightweight reclining strollers are likely to be slightly bigger and less compact than strollers with a fixed seat so it is best to work out if this feature is really necessary for you and your family. For us, the recline feature was an added benefit. This way if we were out and about Myla could easily take a nap and we didn’t need to return to our hotel for this. However maybe your child doesn’t need to recline to nap, or maybe your child doesn’t take naps. Don’t buy the best travel stroller that reclines stroller just for the sake of it, consider if it is a necessity. Your every day pram you have at home will probably have a few clips and buttons and require a swift maneuver to get it to fold down and you would usually have both hands available to do so as you will have already put your baby in the car or inside the house but a great value travel stroller should be able to fold down a lot easier. 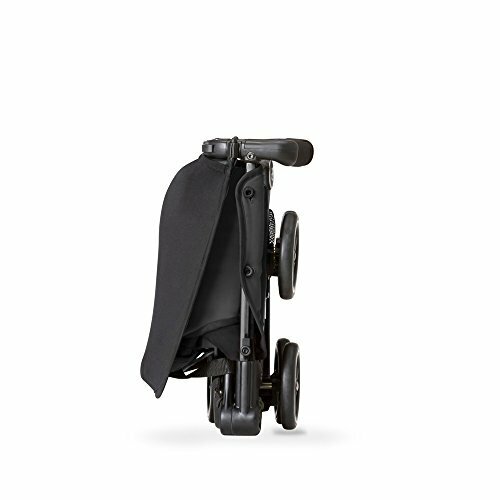 The best foldable strollers for travel can fold down with one hand or even the push of a button! 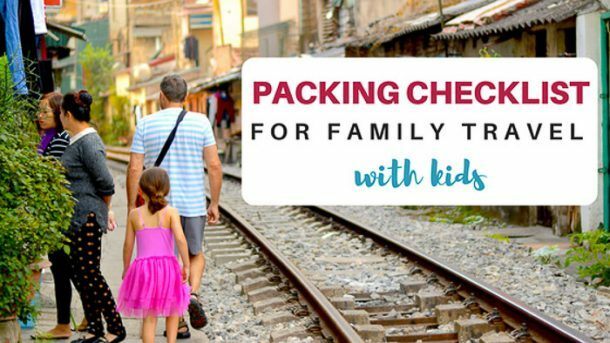 This is such a great feature to have when you are travelling as there is a good chance you will be holding your child or a carry on bag with your other spare arm! A hugely important factor when deciding what travel stroller to buy is how comfortable it is going to be for both you and your little one. If you are hoping your child will spend most of the time you are out and about or getting from place to place in the stroller, then it is important they are comfortable in there! Things such as padding in the seat, strap covers and sun shades are all things to look out for when looking for the best buggy for travelling. The best holiday stroller also needs to be comfortable and convenient for you or whoever is going to spend most of the time pushing it around. You want to make sure it is easy to maneuver and steer, has an easy braking system, comfortable handles, cup holders and other features that will make pushing around your child more enjoyable and worth it. Safety is an important aspect for every parent and especially when deciding on what is the best pushchair for travelling to buy. Being in unfamiliar surroundings and not knowing where you are or where you are going can be exciting but also stressful and the last thing you want to have to worry about is the safety of your child while in their stroller. The best stroller for travelling will have a five point safety harness, sturdy build, braking mechanisms and some strollers have side protection to stop kids dangling out or losing special toys they might be holding on to. The best lightweight travel strollers have various other great features so it is important to work out what extras will benefit you and your child. Some have extendable footrests for taller children. 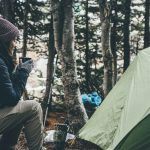 Sun canopies are important if the destination you are going to is going to have hot weather and sunshine, or a rain cover if you are going into a wet season. Some of the top rated travel strollers have a storage basket so it is important to check the size depending on if you plan to store just a few loose items or possibly the whole nappy bag. Some travel strollers may even have cup holders and removable food trays. Available in 8 vibrant and bright colours, the ZOE XL1 is a stroller that you will be able to easily spot at a baggage claim and never loose sight of in crowds. This stroller is a perfect travel accessory as it is so lightweight and compact and a breeze to get around airports. 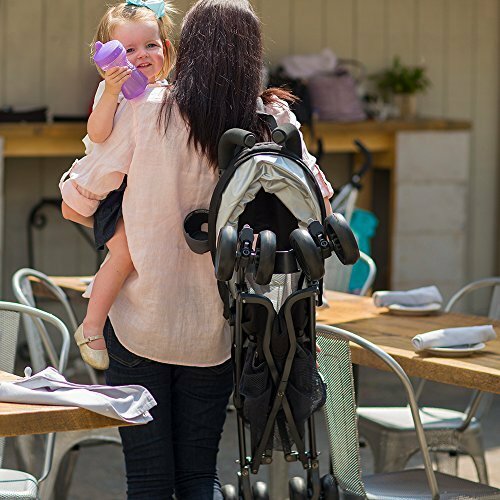 If you are after the best folding stroller you will love how it can fold down with one hand to make life a lot easier if you happen to be holding your child or another bag in the other. It is also a great option for the best compact lightweight stroller as it is compact enough to fit in most overhead lockers on planes, as well as inside a large backpack, or it can even be worn as a backpack itself. So no need to check this stroller at the gate. 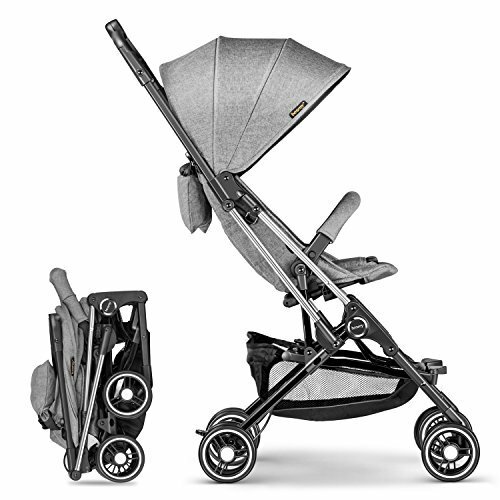 With a huge 4-panel canopy to keep your child protected from the different climates you often experience while on holiday, and an elastic storage basket to keep all the souvenirs you collect throughout your days exploring, this best travel umbrella stroller will make it easy to get all your items from place to place without a hassle. With great included accessories such as both parent and child cup holders, a magnetic peekaboo window, a belly bar, snack cup and harness comfort covers, this pram has all the necessary features for both parent and baby. It also reclines 165 degrees giving you the option to let your little one have a nap while out and about. A great stroller for families who spend a lot of time out exploring while on holiday. Click here to read more reviews and to check price. Unfortunately for my Australian followers this stroller does not appear to be available in Australia. Are you looking for the best compact stroller? 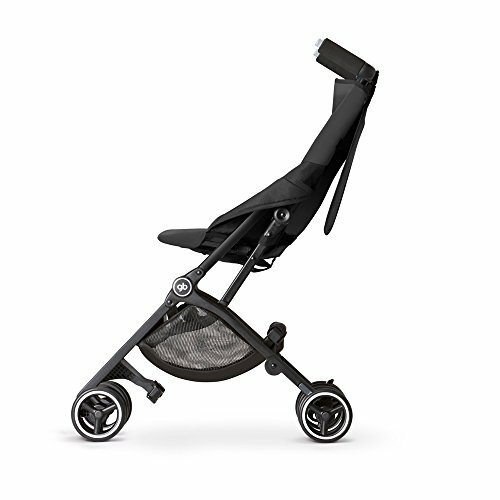 The GB Pockit Lightweight Strolleris classed as the 2014 Guinness World Records most compact stroller! Although this easy travel stroller is as light as a feather and one of the lightest travel stroller options in our reviews, the GB travel stroller is made with a strong and compact build. Made from high quality materials, this compact light stroller can easily hold children from 6 months and up to 55 lbs / 25 kgs. It can also hold up to 11 lbs / 5 kgs of gear in the storage basket. This is a great bonus as you can confidently put an oversized nappy bag underneath and know it won’t buckle under the weight. It also folds up so compact to fit in overhead lockers on trains and planes and won’t take up much space in the boot of the car. This best compact travel stroller will also easily grow with your child if you plan to use it for a few years’ worth of travelling. The adjustable harness system is secure and comfortable with protective comfort pads on the straps that can be set at different levels depending on the size of your child. 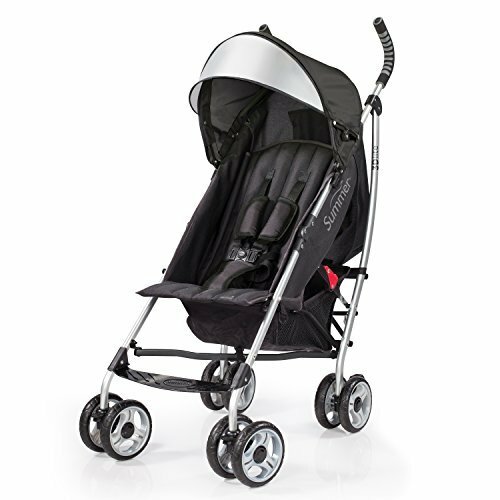 Other great features of this stroller are the 360 rotating swivel-lock wheels, one-handed pushing and steering system, overhead canopy, rear parking brake and padded handlebars for extra comfort for the person pushing. 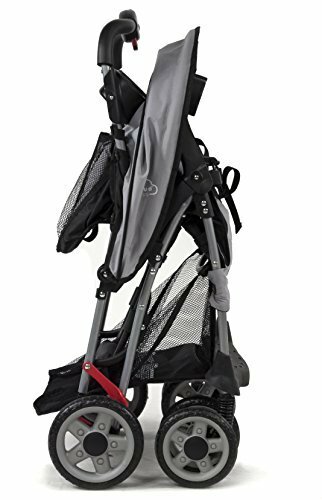 Overall, a great basic travel stroller for families who are looking for a very compact stroller, perfect if you are after an option for the best travel strollers for airplanes or road trips. For my Australian Readers – click here to see the current price in AUD. This McLaren travel stroller is full of great features as well as being our pick for the best lightweight stroller for travelling. 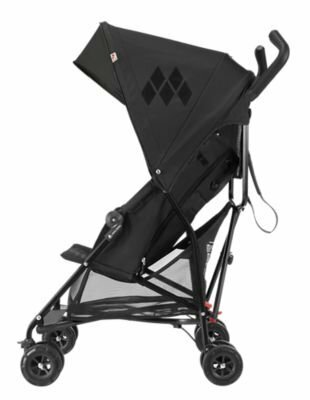 This MacLaren light stroller is perfect for tackling a wide variety of terrain when you don’t know exactly where you are headed or what they day might bring. 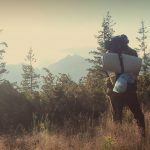 It has 4-wheel suspension, and oversized storage basket and a carry strap to make folding up and carrying on your back just as easy as pushing it. Traveling can have some spontaneous and unplanned aspects to it, so it is great to have a stroller that you know can handle any day trip you might decide to do. The build of the MacLaren travel stroller is not only super lightweight but also made from a superior structure and water resistant, rip-proof fabric to help stop general wear and tear. You can travel with confidence knowing this light travel pram getting damaged or torn is unlikely – one less thing to worry about when travelling with children! 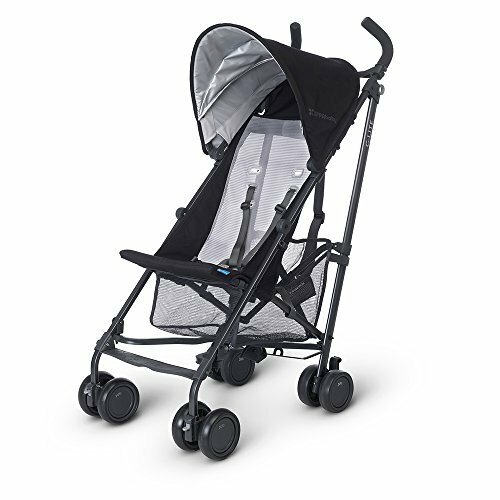 If you are after not only the best lightweight umbrella stroller but also the best reclining travel stroller, than you will love how the seat reclines as well as the breathable mesh center panel for ultimate comfort, custom sized wind-resistant rain cover and a buggy ID tag. 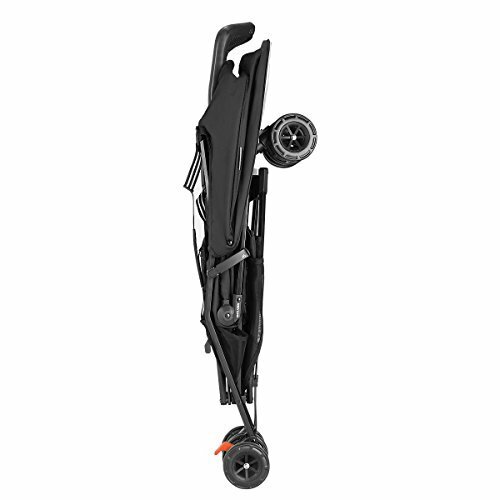 This McLaren light stroller would be ideal for travelers who know they might have to carry their stroller around just as much as they may push it. This stroller is suitable for babies from 6 months of age. The UPPA baby travel strolleris highly rated among travelling parents and is a perfect choice for the best baby travel stroller. Made from an aluminum frame with shock absorbing 4-wheel suspension, the UPPAbaby travel stroller is so lightweight and portable and easy to maneuver on even the most difficult terrain you may come across on your travels. It comes with a carry strap allowing you to carry it on your back in the times you can’t push it along in front of you. 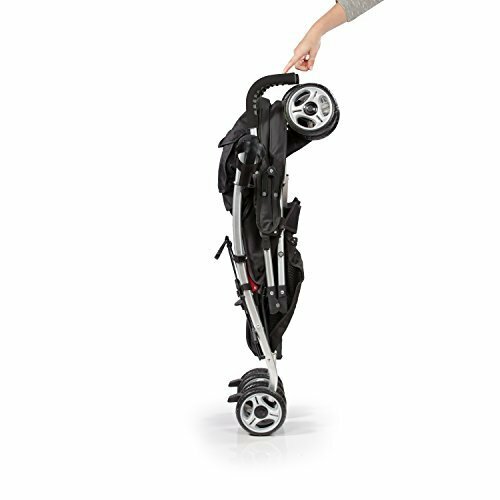 The UPPA baby light stroller also has hand level triggers allowing for a quick fold down. 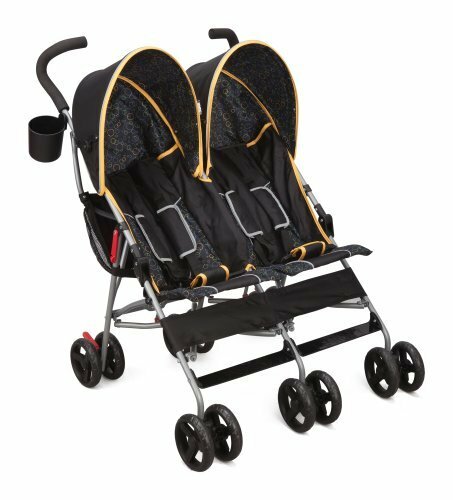 This best lightweight compact stroller has many great comfort features for your child such as a breathable mesh sling seat, zipper recline to allow for day sleeps, a knit canopy with extendable SPF 50+ sunshades and is made from stain and water resistant material so little spillages won’t matter. Other great features of this best rated travel stroller include a removable cup holder, storage basket with a 10-pound weight limit, 5-point harness and lockable front wheels for added stability. Reading the UPPAbaby stroller reviews this is an all round great stroller with the only downfall being that it won’t stand on it’s own when folded. The Kolcraft Cloud Plus is a super travel-friendly stroller with all the features of a full size stroller but made from a smaller design with a super compact fold, making it a great choice for families after the best light stroller for traveling. This is a great stroller for long days out on your travels as it easily reclines to multiple different positions so your little one can still have their day nap or even just have a rest when they are getting a bit restless. The large canopy expands to make sure your child is always protected from the sun or even a slight drizzle of rain. As well as being so lightweight and easy to carry around, this best lightweight reclining stroller for travel easily folds up with one hand, leaving your other hand free to hang on to your child or other travel bags. Once folded up it can stay in standing position on it’s own so you won’t have to lay it down on the footpath while possibly waiting for a taxi to arrive. This foldable travel stroller also has a large easily accessible storage basket, peekaboo window, parent drink tray with spaces for two bottles and a removable child tray with a dual juice box and cup holder. 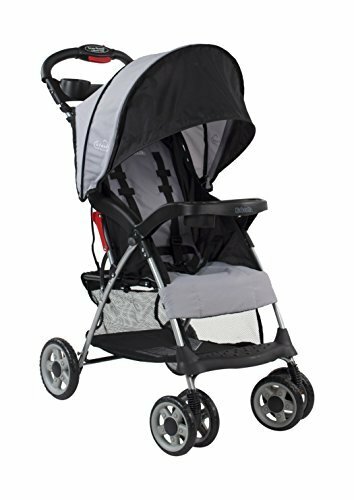 This stroller is a great option for those travelers who are likely to spend the whole day out exploring and want one of the best foldable strollers available. Click here to read more reviews and to check the price. For my Australian Readers, unfortunately this exact model is not able in Australia, but a very similar model is and even better it is even lighter! Click here to see the current price in AUD. Need a baby carrier too? Click here for top tips on which one to buy. The Summer Infantis a space savers dream with many convenient features to make your travels a whole lot more simple. 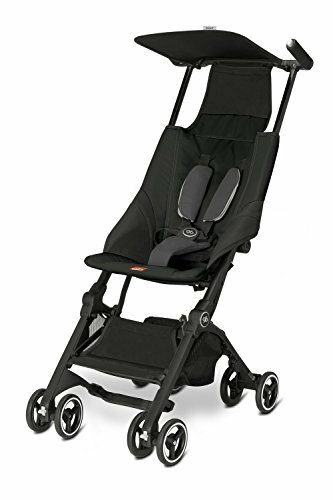 The best feature of this particular travel stroller is that it is car seat compatible with a variety of car seats and no adapters needed. Not only does this mean the stroller is suitable from birth all the way up to children of an older age, but also means that you have an easy way to transport your child’s car seat if you need to take it with you while travelling. It folds down so compact, it will easily fit in the boot of your car along with a suitcase or two and also has a lightweight frame and padded carry strap, making it easy to transport around if for some reason you can’t push it. The other great features of this travel stroller include an oversized canopy with a pop-out sun visor, peekaboo window, large storage basket, self standing fold, multi-position recline, adjustable leg rest, parent and child cup holders, bumper bar and parent storage pocket. This is a great travel stroller with so many fantastic features that would perfectly suit a family that regularly travels and wants a stroller that will grow with their child. 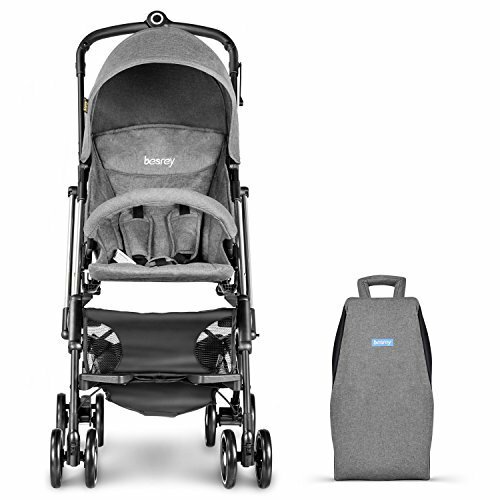 The Besrey Airplane stroller great travel stroller is perfect for all your overseas travels. It folds up with the click of a button using only one hand and into a compact lightweight travel carrying case and can easily be stored in the overhead locker of planes or on the seat in front of you in a taxi. This travel stroller also has a large storage basket that holds up to 10-pounds to keep extra travel items or your baby’s essentials nice and handy to reach throughout your travels. It’s secure five-point safety harness that also comes with comfort pads, is adjustable so that your child is always strapped in securely. Other great features of this travel stroller include the adjustable handle, removable front bumper bar, 360-degree front wheels and a considerate footrest. 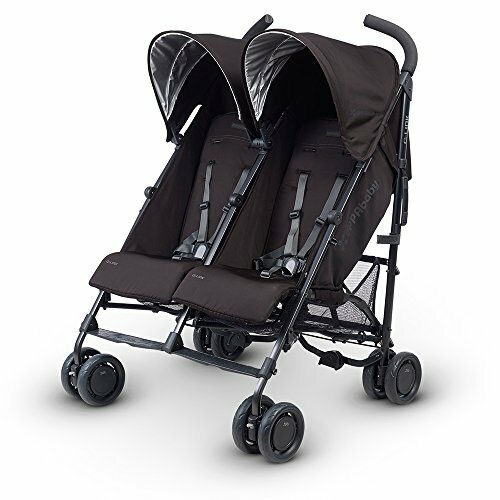 If you are in the market for a stroller that will cater to not only one but two children but are also needing it to be reasonably lightweight, then the ZOE XL2 is the best lightweight double stroller in our reviews. This extremely lightweight travel stroller is so easy to operate with a quick one handed fold. If you are needing a double stroller, then it is likely you will already have your hands full so having this option is always going to be a bonus. This best double travel stroller is also self-locking and free standing to make your life even easier. The 4-panel canopies protect your little ones from the sun when out and about for long periods, but also have a magnetic peekaboo window so you can easily keep an eye on them while still continuing to push from behind. The double elastic storage basket will give you plenty of room to store all the essentials for travelling with children. The other great features of this best travel double stroller are the cup holder and snack cup for the kids and the detachable parent cup holder, the extra tall handle and extra kick space, 165-degree recline, storage pockets, quick release buckle and you also have the option of a carry strap. Available in 8 vibrant colours, this is light twin stroller is one that you will never loose sight of. 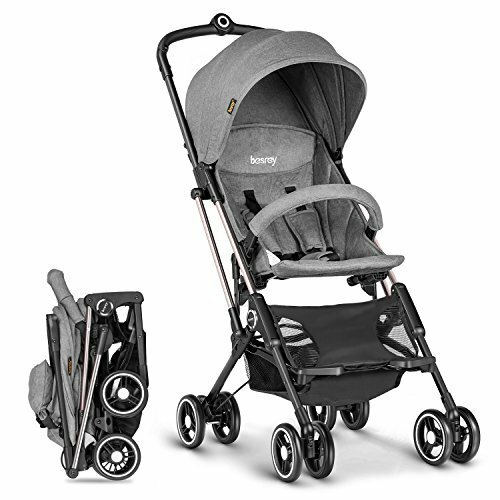 Although the UPPbaby G-Link double travel stroller is the heaviest in our reviews, it does come with many great features and so is a perfect choice as one of the best double strollers for travel. There is maximum comfort for your children catering to their individual sizes with the separate adjustable foot rests and individual recline with 4 seat positions. This is a great feature if you have two children at different stages as the travel twin stroller can cater to both of their needs at the same time. This stroller also has plush head inserts making it suitable from birth to 55 lbs per seat. The effortless maneuverability that comes with having four wheels instead of the traditional six wheels, makes getting this stroller around a breeze. 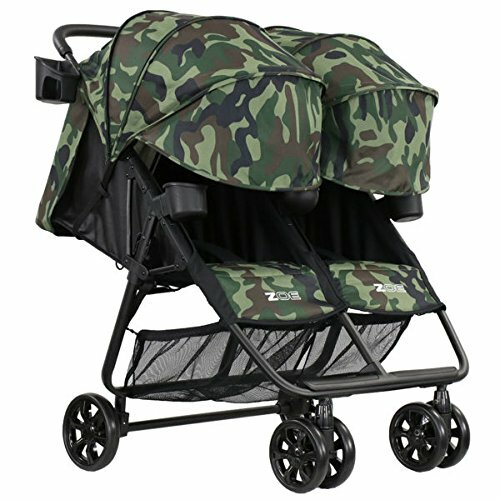 As it is one of the heavier double travel strollers, knowing that it won’t be heavy to push around is a great feature. It also has a one action fold with no foot action required and once it is in folding position it can stand on it’s own. 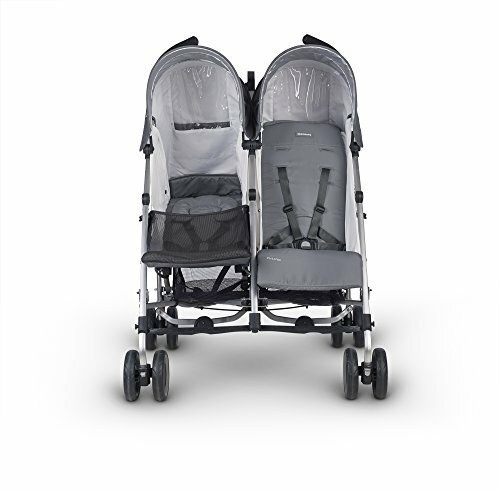 This best twin travel stroller also includes a parent cup holder, storage pockets on the back of the extra large canopies, UPF 50+ sunshades, peekaboo windows and lockable front wheels. According to some UPPAbaby double stroller reviews, this stroller can take a bit of effort to unfold at times and the cup holders are unreliable. 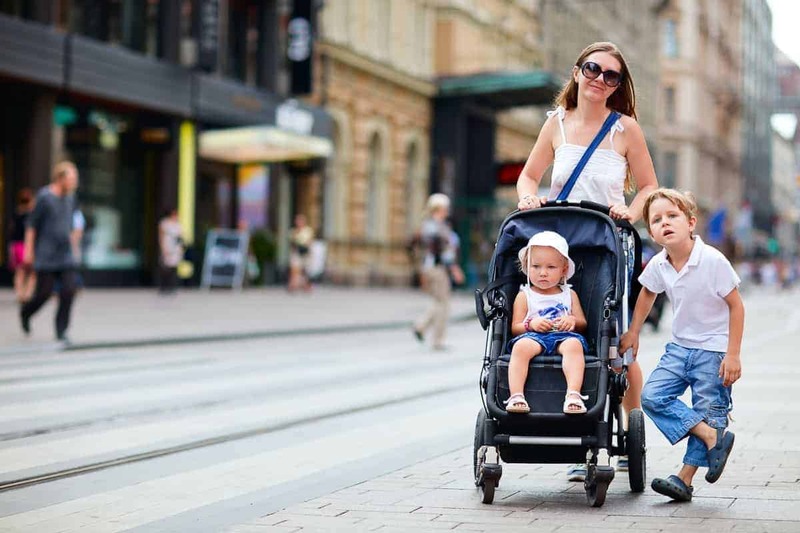 If you are in the market for the best double umbrella stroller with plenty of comfort and storage options for the kids and parents, the Delta Children City Street is definitely one to consider. The lightweight frame and easy compact umbrella fold make it the perfect travel accessory that will make travelling with two kids just as easy as travelling with one. 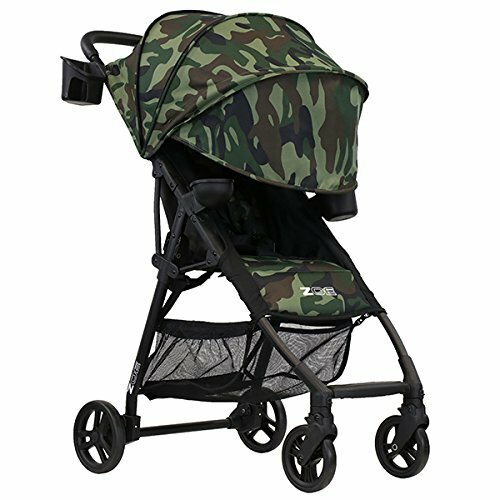 The lightweight frame is fitted with shock absorbing front wheels that swivel 360-degrees making getting this stroller around super easy no matter what terrain you find yourself on. This light double umbrella stroller also comes with two hanging storage bags to keep all the things you need to travel with two kids nice and handy. Other great features of this best light weight double stroller are the 3-point harness, cup holder with two attachment points, sun canopies and the ability to fit in the overhead locker. A great choice for a double travel stroller for families on a budget but wanting the comfort and quality of a top of the range stroller. 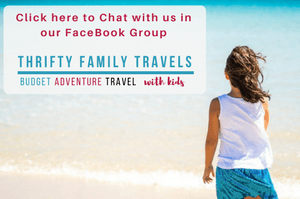 Disclaimer: Thrifty Family Travels is a participant in the Amazon Services LLC Associates Program, an affiliate advertising program designed to provide a means for sites to earn advertising fees by advertising and linking to amazon.com and its partners. Amazon and the Amazon logo are trademarks of Amazon.com, Inc. or its affiliates. Do you want to keep this handy for later? Click on one of the images below to and save it to Pinterest.